We most often think of hope as something we wish for. When I was a child the Sears and J.C. Penney catalogs came to our house in the mail. At the end of summer the special edition Christmas catalogs would arrive full of every toy one could imagine. My sister and I spent hours and days combing through the pages of these catalogs and making lists of what we hoped to receive on Christmas. The anticipation of joy would fill us as we imagined opening these gifts on Christmas morning. Biblical hope is not like that wished for anticipation of toys under the Christmas tree. John Piper says, "Biblical hope not only desires something good for the future - it expects it to happen. And it not only expects it to happen - it is confident it will happen." As Christ followers we can be confident of our future because we have God's Word as a promise. 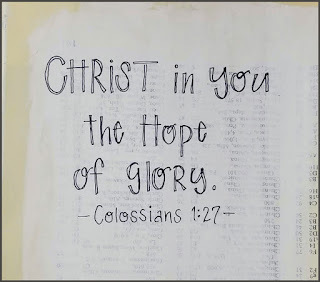 Paul does his part, here in the book of Colossians, to describe for us that confident hope. Paul tells us that the faith and love we've looked at over the past two days "spring up from the hope that is stored up for you in heaven" (1:5). Paul points to the gospel, the word of truth, as the place where the promise of hope is stirred up in our hearts. The hope the gospel gives us is the good news that there is hope for sinners. 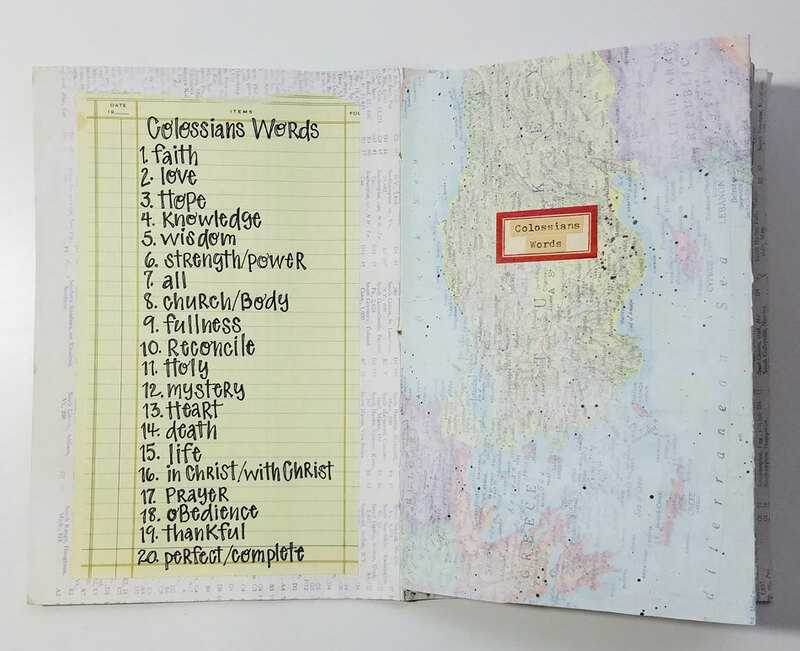 Paul describes our state before faith in Christ as those who are "alienated from God" (Colossians 1:21). In Ephesians 2:12 he puts it this way, "separated from Christ - without hope and without God" - hopeless. When the gospel is shared with us, we hear the good news that reconciliation with God is made available to us through Christ. Through Christ our sins are forgiven and we are made holy. The hope of eternal life is now a reality for us. It is stored up for us in heaven! The gospel provides hope for what is yet to come. 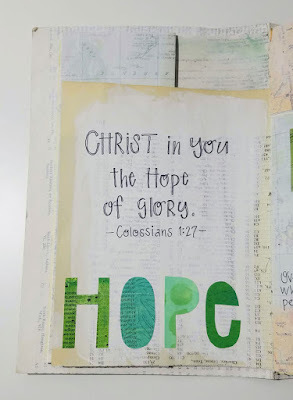 That future hope is what helps us remain steadfast and firm in our faith in this life. 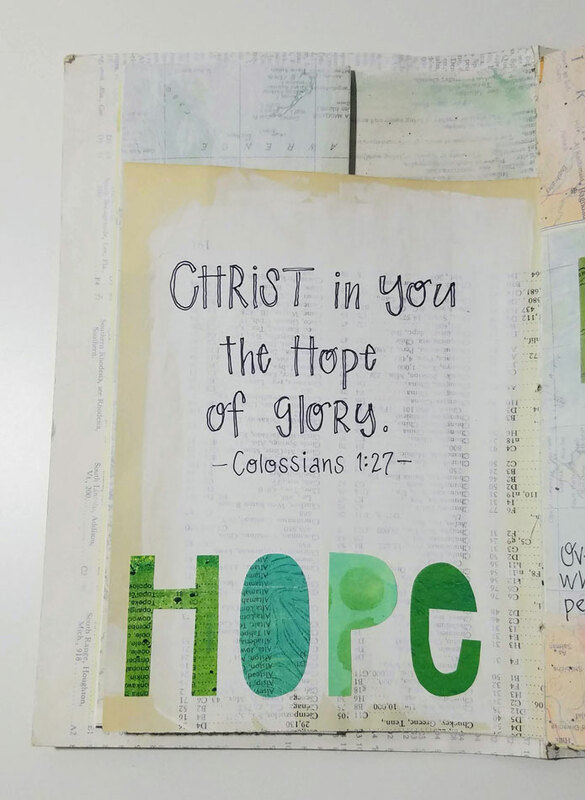 The NRSV puts verse 23 this way: "without shifting from the hope promised by the gospel that you heard" Hope is an anchor. It keeps us grounded in our faith. Peter calls it a "living hope". "Praise be to the God and Father of our Lord Jesus Christ! In his great mercy he has given us new birth into a living hope through the resurrection of Jesus Christ from the dead, and into an inheritance that can never perish, spoil or fade. This inheritance is kept in heaven for you, who through faith are shielded by God’s power until the coming of the salvation that is ready to be revealed in the last time." 1 Peter 1:3-5. 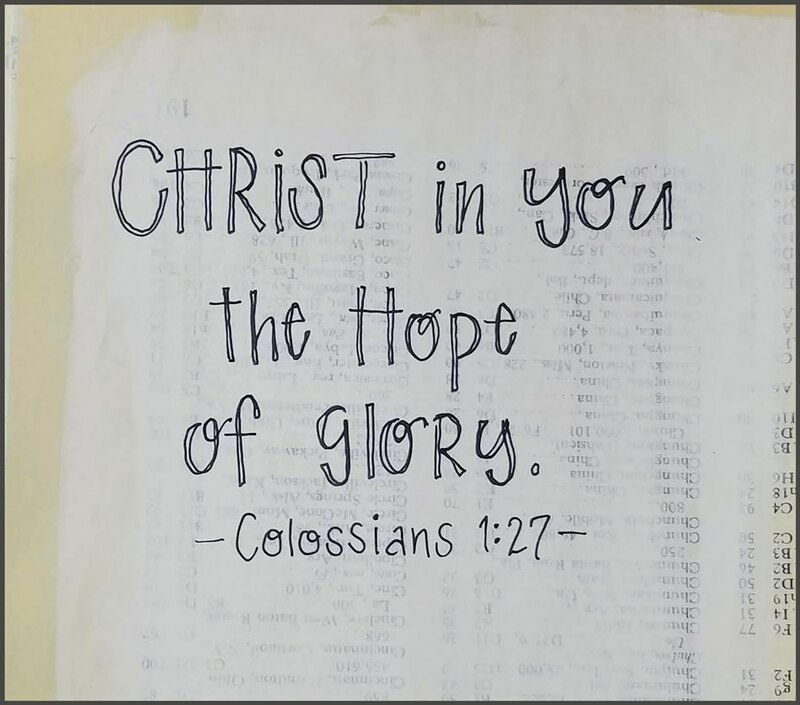 The three times Paul uses the word hope in the book of Colossians are all found in the first chapter. He closes the chapter with his final thoughts on hope by pointing us once again to the source of our hope: Jesus Christ. 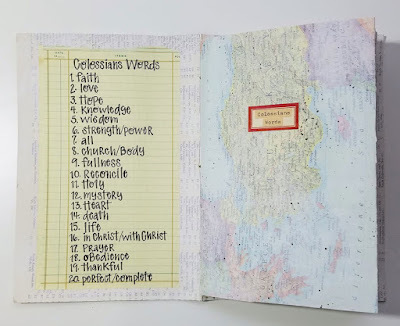 There is so much in this passage and we will dig deeper into it when we connect with other words, such as fullness and mystery. For now we will just focus on the last verse. "But we all, with unveiled face, beholding as in a mirror the glory of the Lord, are being transformed into the same image from glory to glory, just as from the Lord, the Spirit."" In this present life Christ is transforming us into His holy people, preparing us for a future glory where we will be fully transformed. In this is our hope! The hope of the future provides us with the hope we need for day-to-day living, firm in the faith. 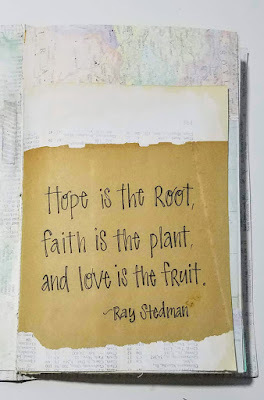 I love the quote by Ray Stedman. You find the best quotes! 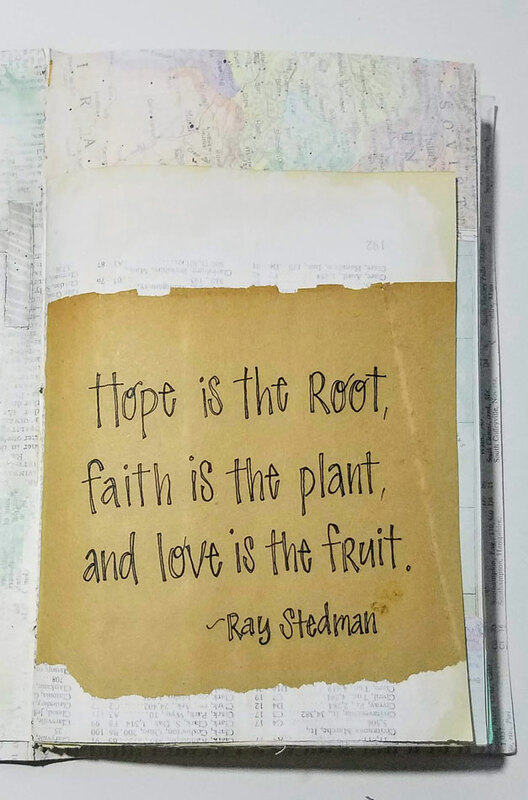 Beautiful pages and wonderful teaching on HOPE. Thanks, Mary.